Most Catholics believe that money is the root of all evil. But, on the contrary, money is also an essential part of the Catholic trade. And for a business that is run by someone who believes in trust, mercy, compassion, and kindness, things are going more smoothly than expected. It began in early 1924 through an organization called Society of the Divine Word (SVD)—a Catholic missionary congregation. 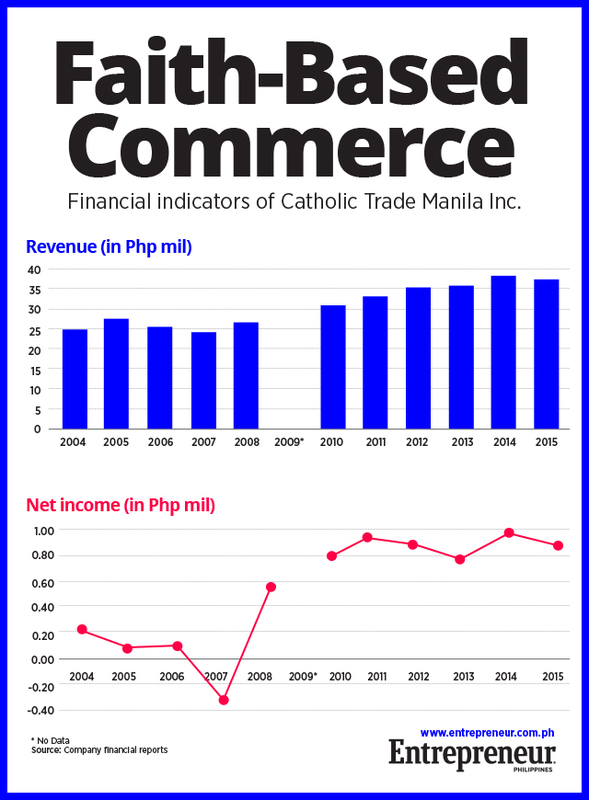 Catholic Trade Manila in Tayuman decided that it was time to maximize their influence and start selling their own line of religious items and artifacts in the capital of the Philippines, Manila. Being the center of businesses, Manila has been the place where people go to buy crucifixes, chalices, religious frames and other items used in Catholic churches, as well as homes. The original location of their little establishment was in the middle of Divisoria, together with several other retailers of clothing and food. “We offer almost any Church good you need—from chalices to novena booklets,” said Fr. Carlos Maria De Guzman Jr., an SVD missionary and general manager of CTM Inc. Most of the merchandise they had for sale was made locally by talented craftsmen, especially the detailed religious statues. Majority of their inventories are made and delivered by a manufacturer in Paete, Laguna and some towns in Pampanga. And even though there were already dozens of religious-based stores in the vicinity, their shop was able to differentiate themselves by offering almost everything that their customers might need. This includes small crucifixes for personal use, to giant ones for churches. It even sells huge brass bells for church towers. “There will be visitors who come from the provinces and would commute just to get here and buy items for their local parishes and these are not people who are well-off,” De Guzman said. 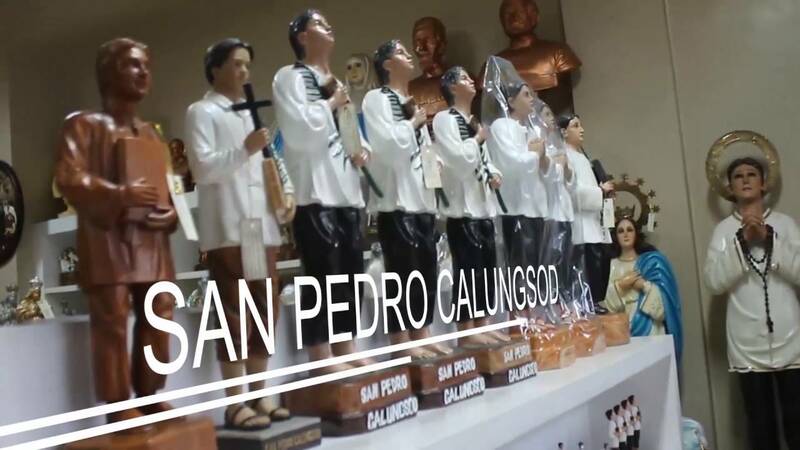 During Holy Week, their customer traffic increases immensely as religious organizations flock to their shop to buy products, and stockpile their inventories for the coming celebrations that are connected with the Lent. Their most bought merchandise are incense, votive candles on the altars, and posters of the Passion of the Christ for mass attendees. 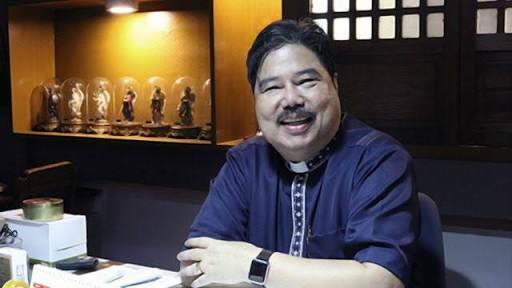 “There will be people who come here who lack sufficient funds to purchase items they just really wish to bring to their parishes, and we give them discounts,” De Guzman added. In the years 2004-2007, there was a fall in the Catholic sales industry. “It was a dark time for us,” De Guzman said. However, when he was assigned as the new general manager of the company, he quickly moved to make things better. He took up a master’s degree in business administration at the University of California in Los Angeles. After finishing his studies and serving his residency in Chicago, he returned home to save the failing company. Fr. De Guzman’s experiences abroad did not only helped him in the field of business, but it also made him look at both sides of the coin. From that point of view, he didn’t just treat the Catholic trade as a business—but also a tourism opportunity. “The first thing I did when I came in was to register the business as an official store with the Department of Tourism,” he recalled. Hence, aside from their loyal Filipino customers, there has been a huge traffic of Chinese and Malaysian travelers although the majority of them are non-Catholics. Besides using the tourism industry to double their sales, De Guzman has also opted to import and export religious goods from the Philippines to other neighboring countries. “Just last year we shipped around Php2.5 million-worth of Church items to Papua New Guinea. We’ve become an official supplier for churches there,” he revealed. Most of the company’s international clients come from the Pacific Islands. As of now, they tend to keep up with the pace by building new branches every month. Just three years ago, De Guzman was able to establish a branch in Puerto Princesa, Palawan. 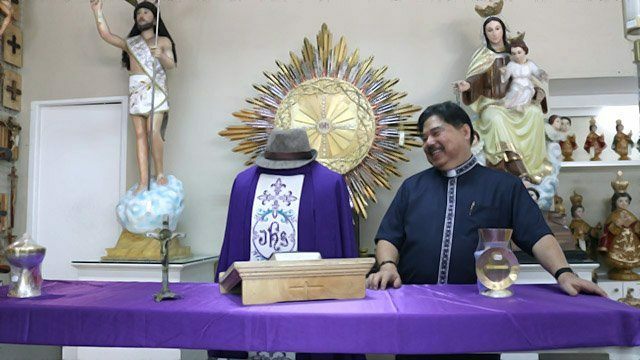 “It now serves as the main supplier for local dioceses there, as well as for those in Northern Palawan or even Roxas (municipality),” he said. And while they already have three fully operational branches—one of it is located in Farmer’s market in Cubao—De Guzman still dreams of putting up outlets in Pampanga to serve the customers in Central Luzon. When asked about what strategies he used to improve the company’s sales, he answered by crediting their loyal employees.